152 pages | 3 B/W Illus. This book analyses the key forces affecting the affordability of rural homes in Britain and the changing shape of housing markets. It takes as its starting point, demographic trends impacting upon rural communities and upon market dynamics. From this point, it explores consequent patterns of housing affordability, examining changing opportunities in the rental and sale markets, at different spatial scales. 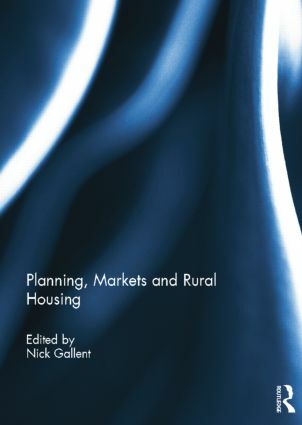 The book also focuses on how markets are analysed, and how data are selectively used to demonstrate low levels of affordability, or a lack of need for additional housing in small village locations. Building on the demographic theme, the book considers the housing implications of an aging population, before the focus finally shifts to community initiative in the face of housing undersupply and planning's future role in delivering and procuring a more constant and predictable supply of affordable homes. In a speculative conclusion, the book ends by examining the current political trajectory in England, and the prospects for housing in the countryside in the context of localism and neighbourhood planning at a village level. This book was published as a special issue of Planning Practice and Research. Nick Gallent is Professor of Housing and Planning at the Bartlett School of Planning, UCL. His main research interests are in the field of rural planning and housing.